Your spine gives you the structural support you need to stay upright, balanced, and in control. The nerves rooted in your spine allow you to feel your body, and the spinal discs that sit between the vertebrae help you move and function with ease. 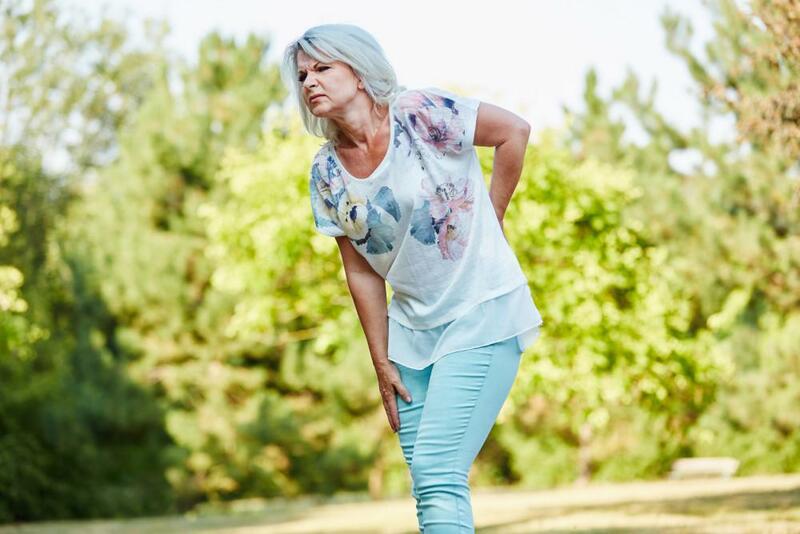 Although your spinal discs are tough and flexible enough to effortlessly absorb the shocks and repetitive impacts of daily life for years on end, it’s not unusual for those discs to start showing signs of wear-and-tear as you get older, sometimes developing minor rips and tears. While any spinal disc can herniate, or rupture, the problem occurs most often in the lumbar spine, or lower back. When a disc becomes herniated, it can leak fluid that irritates nearby nerves and leads to chronic pain. But persistent back or neck pain isn’t the only possible sign of a herniated spinal disc — many patients who come to see us here at Mass Ave Chiropractic are surprised to learn that the tingling, numbness, and discomfort they’ve been feeling in their legs, shoulders, or arms is actually the result of a herniated disc. Situated between the vertebrae that make up your spine, your discs act as shock-absorbing cushions on either end of each bone. The primary role of a disc’s tough, rubbery outer covering is to help facilitate your spine’s complete range of motion. The main function of its soft, gel-like interior is to absorb the shocks and impacts that accompany movement. When a disc’s soft interior fibers split, either from progressive, age-related degeneration or some type of acute trauma, its spongy nuclear material pushes up against its rubbery exterior. This interior pressure can force the disc’s outer wall to protrude, or bulge. If this pressure becomes too great, it causes the disc to herniate. Although most herniated discs occur in either the lumbar spine (lower back) or the cervical spine (neck), discs in your thoracic spine (upper to mid-back) can also rupture. When a herniated disc causes symptoms of any kind, its leaked material has irritated the nearby nerves rooted in your spinal column. Because spinal nerves branch out into various parts of your body, you may feel pain or other sensations in places that might not initially seem related to a problem in your spine. Because it supports much of your upper body weight and bears most of the force and stress when you bend and twist, most herniated discs occur in the lower back. A herniated disc in your lower back may cause significant or chronic lower back pain, or it may cause sciatica, a shooting pain in your buttocks, thigh, or calf that may even extend all the way into your foot. You may also experience numbness, tingling, or muscle weakness anywhere along this nerve path. A herniated disc in your cervical spine may cause searing or persistent neck pain, or it may cause pain that radiates into your shoulder or arm. Numbness, tingling, and muscle weakness can also occur anywhere in your shoulder, arm, or hand. When a disc ruptures in your mid-to-upper back, its symptoms may not be as obvious. Any pain, numbness, tingling, or muscle weakness you experience may extend from your upper back into your shoulders and arms, or it may radiate from your mid-back down into your lower back, buttocks, and legs. Most herniated discs respond well to a comprehensive treatment plan that incorporates both chiropractic adjustments and spinal decompression therapy. Chiropractic adjustments use gentle, controlled force to rectify spinal misalignments and alleviate related nerve stress. Regular hands-on adjustments can go a long way in helping to reduce inflammation and pain, relax surrounding muscles, and restore a more normal range of motion. To provide immediate relief and promote long-term healing, spinal decompression therapy uses an advanced, computer-assisted approach to alternately stretch and relax your spine as you lie comfortably on a special motorized table. Besides providing fast relief for disc-related pressure, spinal decompression therapy also stimulates blood flow through your spine to promote long-term healing. Once inflammation is under control, your pain has subsided, and your disc has begun healing, an individualized physical therapy program can lead to lasting pain relief by helping you build strength, improve flexibility, and restore complete mobility. If you’ve been experiencing pain, numbness, tingling, or muscle weakness in your back, neck, or anywhere else, we can help. Call our Indianapolis office today, or use our convenient online tool to schedule an appointment with Dr. Kielur any time.